Broadcast by East Africa TV's Dominic Nyalifa on E-Newz February 18th 2013, was Joett's Color Me Beautiful video and imminent projects that include: Learn to Sing with Joett vocal training CD and Letters from A Vocal Coach handbook; as well as soon-to-be-launched Tanzanian boy band 3G, trained and managed by Joett on the Joett Music label. Developing your own style doesn't get easier than this. Listen to a variety of good music and try imitating the different styles. If you've been through voice training you'll have the advantage of having a far better understanging of the tricks that professional singers use. It helps to know the little secrets behind their successful delivery of songs. But for the purpose of this blog post, consider learning through imitation. Cos in the the long run it'll help you develop your own unique style. And on that note, I think it's time to take a look at what you ought to be listening to. What defines good music? I'll tell you this for nothing. Go back to the 90s, 80s, 70s, 60s, 50s and you'll find an archive of really good music. With the exception of the 90s, they didn't have computers back then. Singers had to be perfect. They had no technological assistance as we do today. So have a good listen and then fast forward to the 00s if you like...but never forget your roots. As the saying goes, old is gold. And now I'll throw in a few names and songs for you to go and look up: Luther Vandross (Give Me The Reason/Always & Forever/A House Is Not A Home), Haddaway (What Is Love), Aretha Franklin (Who's Zoomin' Who), Tevin Campbell (I'm Ready), Atlantic Starr (Always/Secret Lovers/Silver Shadow), Imagination (Body Talk), Shalamar (Full Of Fire). In coming Letters from A Vocal Coach blog posts I will be suggesting some more songs for you to listen to...and to try and imitate. Have fun! Yes, this happens a lot. Perhaps you're not too sure of what you're doing and kind of get derailed with your singing (I'm talking recording session and rehearsals here), how on earth do you overcome that? There are a couple of things you'd want to pay attention to. 1. Are you abrupt in your delivery of notes? 3. Are you unsure as to where to come in? SOLUTION: Pay particular attention to listening. I'll say this again, listen and listen well. Your voice should blend in with the music and flow with it. And here's a great way to get it right. In-between notes there are always gaps to BREATHE. Use those gaps to do just that. Cos you see, when you're idle you'll think "well, what do I do now?...I'll just sing!" And then your timing goes off and you begin to race with the track, albeit breathlessly. So here's the secret: when you breathe, not only do you get to stabilize your voice, you'll feel better, more confident and more balanced... and your voice, instead of falling apart and sounding rushed and unprofessional, will actually sound better and more controlled. And what's more, when you breathe you're also filling those little gaps where you'd otherwise be idle and singing before you should BECAUSE of that. So the next time you're getting your notes in a twist, read this article! Well, it's about time I got back to some serious blogging. What with all that's been going on in my life I simply couldn't keep this up. Well, let's hope that this time I keep blogging :-). Now here's the good news: my handbook Letters from a Vocal Coach, a collection of useful articles for singer, is on the way and it will be released along with my Learn to Sing with Joett vocal training program on two CDs. Release time frame I'm looking at now is somewhere in April 2013. Not a long way off, it has to be said. I'll begin by posting a few tips here every so often, and as I go about my day teaching voice (whenever I've got a moment to spare). Let this be your point of reference from here on out. The search term on this blog? Simply "letters from a vocal coach". Tanzanian vocal coach, radio presenter and TV personality Joett, released his latest nu disco single Color Me Beautiful on CD December 10th 2012; which also went on digital release via iTunes, Amazon MP3, Rhapsody… and a host of digital download stores around the world on January 7th 2013. 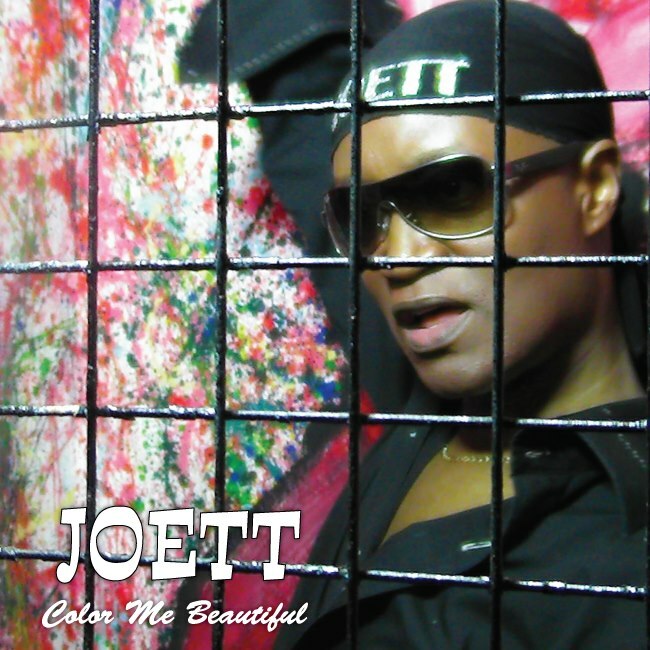 The somewhat retro video in which Joett appears to emerge from the Indian ocean at sunrise—fully clothed and soaking wet, and then surfaces inside an incandescently colorful cage where he performs Color Me Beautiful in a style quite reminiscent of British pop star Seal. At sunset, he returns to the seaside, casually walks back into the water and seemingly vanishes into the depths of the Indian Ocean. Shot entirely on location in the city of Dar es salaam, the set and concept of the video was created by Joett and directed by Meja for Sean Entertainment/Prime Films. Released on television and YouTube Feb 12th 2013, the video AND music rekindle and capture the essence of 1970s disco. Joett, mwalimu wa kuimba, presenta wa redio na vilevile jaji kwenye kipindi cha televisheni TIKISA, aliachia CD singo yake mpya Color Me Beautiful tarehe 10 Desemba 2012; na online kupitia iTunes, Amazon MP3, Rhapsody na vitovuti kadhaa vya ku download muziki tarehe 7 Januari; na tarehe 12 Februari 2013 kaachia video ya Color Me Beautiful. Katika video hiyo, Joett anaonekana akitokea baharini majira ya alhasiri na kuingia kwenye boxi lenye rangi nyingi sana ambapo anaimba wimbo huo; halafu jua linapozama, anaonekana akirejea majini na kuzamia kwenye kina kirefu. Color Me Beautiful ipo katika miondoko ya disco la miaka ya 70, lakini ikiwa na vionjo vya muziki wa millennia mpya ijulikanayo kama nu disco. Alie buni mfumo wa video hiyo ni Joett, na director wa video ni Meja wa Sean Entertainment/Prime Films.